The Guardian interviews three students about guns in America. 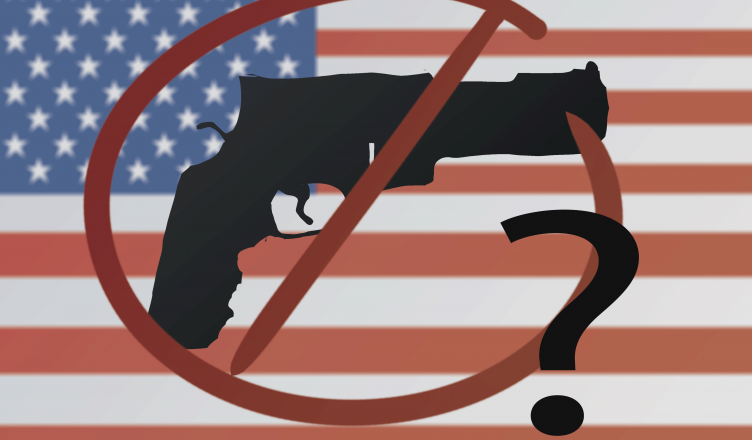 The topic of guns in America is a highly complex, multilayered subject that cannot be fully covered or addressed in the limited scope of one piece. This article takes a small step into examining a highly controversial issue by interviewing students for a broad overview of their different opinions on the topic. This is especially relevant now as students are part of the newest generation of voters and capable of creating change. About the interviewees: Ryan Roden, a sophomore political science (international relations) major in Eleanor Roosevelt College, identifies as a liberal and is against guns; Christian Ramirez, a sophomore business psychology major in John Muir College, identifies as a moderate and is neither for nor against guns; Dylan Martin, the Media, Communications and Marketing Director for the California College Republicans and a senior in Sixth College, identifies as a conservative and is pro-gun. Please briefly describe your opinion on guns and where you stand on gun control. Roden: A lot of America’s problems with guns would be solved if we could simply implement the gun standards upheld in much of the world’s other democracies. Unfortunately, because of the unique stance the U.S. takes on the guns, this seems to be an impossible task that will never happen. Ramirez: For me personally, gun control is being responsible. Most … people who are in the right state of mind and know how to take care of guns should be allowed to carry a firearm. Considering they meet all the requirements, you know: Are they in the right state of mind? Do they understand the responsibility of a firearm? Do they understand the consequences of having a firearm? A responsible gun owner is someone who understands the consequences of his or her actions. They understand the responsibility they have to the public when they own a firearm. Because if you don’t, that just leads to a lot of recklessness, and a lot of things that we see on the news are due to people like that — who don’t understand responsibility or what it means to own a firearm. This duty to society, I think, is really trying to protect your fellow man, your fellow American in this situation. Martin: I am emphatically pro-gun. I do believe that background checks can be reasonable, but I believe the average, sane American citizen has the guaranteed right to protect their life, liberty, and property, from threats foreign and domestic — be they from criminals or a tyrannical government — with a gun. What do you think about the Second Amendment? There are many who firmly stand by the Second Amendment — but no Constitutional amendment is absolute. Many argue that because the Constitution belongs to the American people, it can be amended. Should we repeal it? Should we amend it? Should we firmly stick to it? Why? Roden: The Second Amendment represents a United States from centuries ago. The fact that it hasn’t been changed to reflect new times and new developments of American society shows an inability to understand a changing US. I support amending it. Ramirez: What we should do as a country is really educate students on what it means to have a firearm and what the second amendment is. I just think that really with any issue we should educate the youth because they’re gonna be the ones talking about these issues later on. At the end of the day, we can’t have idiots talking about the policies they don’t understand. Martin: In the currently polarized country, it is highly unlikely the Second Amendment can be repealed any time soon, which is a good thing. The Second Amendment protects our right to defend ourselves, be it from a criminal or from government treachery. Many tyrannical governments around the world engage in genocides or abuses of their populace because they have no rights or means to protect themselves. A government that is scared of its people from their ability to fight back is a government that allows decent freedoms and quality of life. In short, no, it should not be repealed because it is a large net good. Should we distinguish between types of guns (i.e. “assault weapons” and “handguns”)? Or should all guns be grouped in the same category of “guns” and be subject to the same considerations? Roden: They deserve separation. Especially in a legal sense, at the very least, to ensure that we recognize firearms for public usage to be limited because no citizen should have need to use military grade weaponry within a morally just society. Ramirez: You can’t talk about guns in the same light. In other parts of the country — you know for us, in this specific environment, we never had any use for a gun — but if you go speak to someone from South Dakota, or Montana — people that are in frequent use of guns, who are around them, who were raised around them, who know how to use them — they have a purpose for it. So you really need to differentiate what kind of guns are being used and what is it that’s the problem. You can’t really generalize everything. Why aren’t white male shooters classified as domestic terrorists when people of other races and nationalities are classified as such when they commit some of these crimes? Roden: Because both the culture revolving around gun ownership and the concept of terrorism are inherently racist. Americans will never classify white shooters as terrorists because our media has taught us to classify terrorism as something religious and foreign in basis. The actions of a white shooter are instead justified in mental health problems or issues of isolation — and this separates the actions of a white shooter from terrorism. Ramirez: As a nation, America tends to ignore the fact that all of these people committing those violent crimes are males. And whether we like it or not, most of them are white males. So why aren’t we looking into it? It’s not just that guns are the problem. You have to understand what are the other factors that are at stake. We should really take a deeper look at how we prop up these males into our society. A lot of these kids are basically kids, and they’re still trying to figure things out. They’re having trouble with their masculinity, finding out who they are, trying to find their place in society. And this can be specifically attuned to white males because you could make the argument that they are the dominant people in this country. Also, it’s really easy for someone to see someone else from a different nation as a terrorist because that’s how terrorism is defined. But, at the end of the day, anyone can commit an act of terrorism. It doesn’t have to be someone from an outside nation, it can be someone from within the homeland. A lot of people should take more time to consider and think — actually, that’s the problem within this country: a lot of people just take information and don’t really analyze it. You can’t really repeat facts, you have to listen to what someone is saying and then make your own opinion about it. Martin: I’m sure there are some instances where the media classifies instances incorrectly. However, the definition of terrorism is violence with a political aim. Many shooter events have been jihadist attacks, which involves a political aspect. Several of the other instances were apparently random acts. In my mind it should all be terrorism, but according to technicalities, I suppose it’s not. AFSCME Strike: What Happens Now? What do you think about the National Rifle Association? Roden: The NRA at this point exists only to protect weaponry and to scream about protecting the Second Amendment. It panders to their white constituency. It’s basically a focus group with a lens I disapprove of. Ramirez: I honestly don’t care for the NRA. It’s honestly just another system that’s trying to promote their own agenda. Maybe my opinion would be different if my life had been directly impacted by someone that has used a gun, but personally, right now, I have no strong opinion on either side. I just see it as there’s another corporation, another entity, that’s trying to push their own view on other people, and it’s no different from anyone else. Martin: I believe the NRA is a steadfast protector of our second amendment rights. Contrary to media smear tactics, they are not violent and hateful murderers. What do you think about background checks? Should mental health histories be taken into consideration? Roden: A thorough background check is needed for participation in our government, for the purchases of medicines for your mental history, etc. So why shouldn’t we hold the same standards for guns? Guns have the capability to end lives. Ramirez: We should have background checks because we need to make sure these individuals don’t have a history. And if they do, we should conduct more investigation into the kind of character they are. Have they shown that they’ve changed their way of being? That they’ve built off their way of being before? We have to evaluate every single person case by case. That way we can prevent as many accidents as possible. Even with as many background checks, there’s still gonna be accidents. What do you wish others could understand about your viewpoint? Roden: I would wish people could understand why I feel so little about the importance of the right to bear arms. Why would we need weapons to defend ourselves from the government if we already refuse to react against government injustices? It is a now irrelevant countermeasure to government abuse, and to replace it to serve the original function could help us much more. Ramirez: Unfortunately a lot of things I’ve told you during this interview have been pipe dreams. Because it’s gonna take a lot of people to get these policies done. This is just the way I think it should be — but it probably won’t be that way. But education is the most important thing. We don’t want to teach kids “guns are good” or “guns are bad” — we want to teach kids: “If you’re going to have a gun, you better be responsible.” However, right now, we’re living in an era where people are on one side of the fence or another. And there’s no talk about in between, there’s no talk about responsibility. There’s no talk about what we can do as younger people in this country to affect this change. Martin: I know some people will think I’m evil for supporting gun rights, but I can assure you — I just want to feel safe knowing I have an effective means of protecting myself against other violent entities and government tyranny. In a perfect world, there would be no guns, but since they are here we will never get rid of them. In my opinion, it’s better to arm good guys with guns to counter the bad guys with guns. Taking away guns won’t stop criminals from keeping them illegally. If we have no means of protecting ourselves, then what? And if liberals are wary of the police, why would we want more armed cops to protect us? At the end of the day, I believe we’re safest with guaranteed gun rights. The Guardian hopes that exposure to different opinions might lead students to develop further respect for other beliefs and even lead them to possibly reevaluate their own. With such contested topics in such contested times, perhaps one of the best things we can do to have any impact in our own community is listen to and learn from each other.